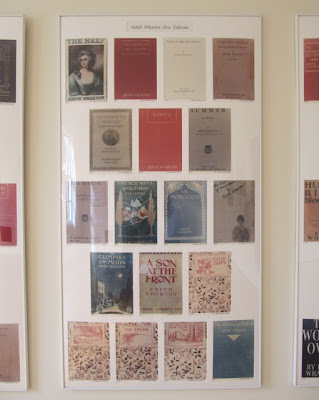 Today is the first anniversary of My Dog-Eared Pages and I thought I would write about Edith Wharton. She was a reflection of her time. 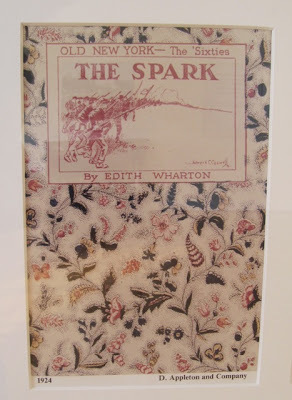 And, though she lived in a grand style, Wharton was a woman of substance, immense curiosity, intellect and compassion. She was also a woman of many firsts. 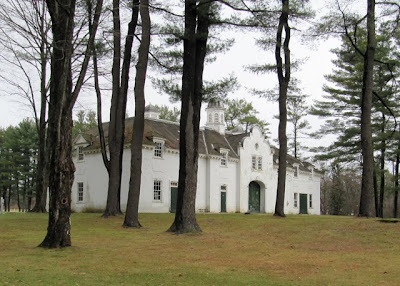 She was the first woman awarded the Pulitzer Prize for Fiction, the first woman to receive an honorary doctorate from Yale, the first woman elevated to full membership in the American Academy of Arts and Letters... and, she considered her house The Mount, to be her first real home. 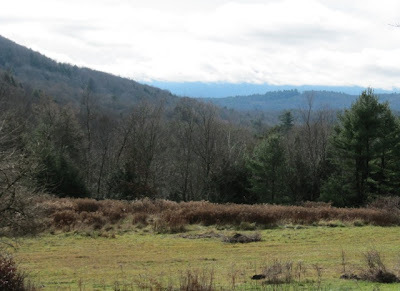 I visited The Mount in mid-November when the autumn-colored mountains of Lenox are steeped in a rolling mist against patches of blue sky. 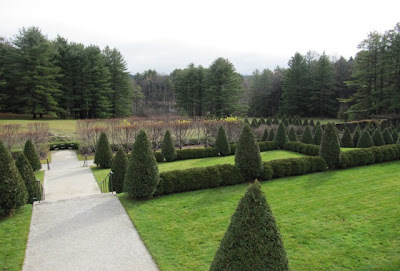 This area of the Berkshires is full of important houses. The Mount was my first real home... its blessed influence still lives in me. The drive to The Mount past the lovely stables. The back entrance hallway looking through the butler's pantry. Wharton was already 40 when she designed and built The Mount in 1902. 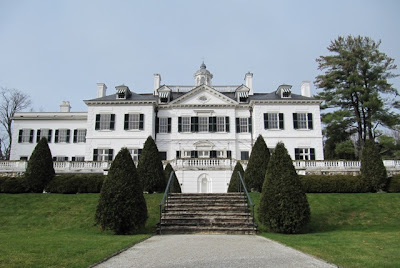 Tired of the Newport scene and estranged from her banker husband, Teddy Wharton, she came to Lenox, Massachusetts for a retreat. 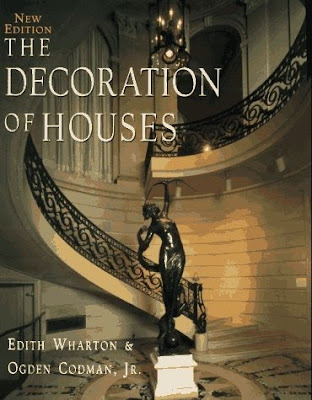 Five years earlier she had published The Decoration of Houses with co-author Ogden Codman, Jr. Wharton and Codman advocated that interior decoration return to the classical virtues of proportion, harmony and simplicity. And, these sensibilities and ideas were incorporated into The Mount. 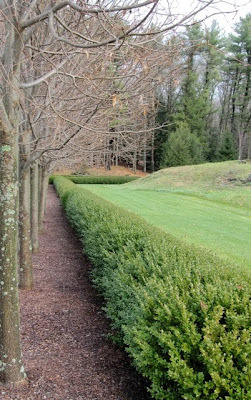 gravel walk which descends to a lime walk of Linden trees. 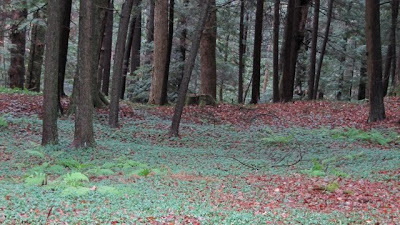 Even the winter palette of the lime walk has a majestic quality. 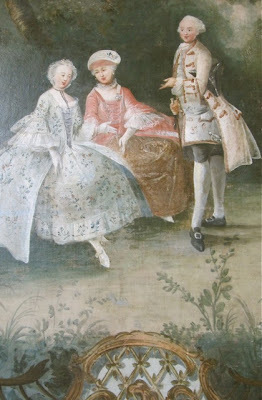 Settlement began in Lenox in the 1760s, but it did not start out with the glamorous image it later acquired. 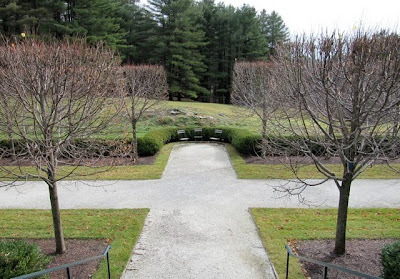 Lenox emerged as a resort town by the mid-1800s when artists, writers, and other intellectuals flocked to the Berkshires. It became an oasis of culture but by the mid-1900s there was a gradual shift as Lenox evolved as a playground for the social elite. 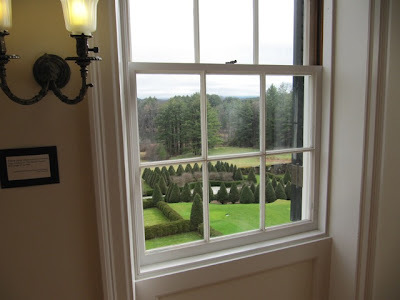 During this period of American prosperity, great fortunes were made and Stockbridge and Lenox became increasingly popular—estates were popping up everywhere. This is called the Cottages period. By 1880 there were about 35 mansions and by 1900, there were around 75. 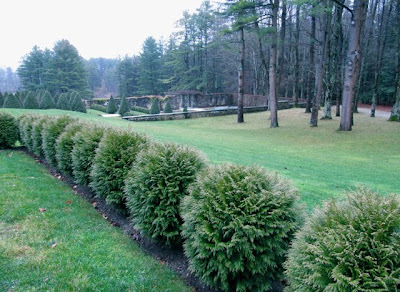 Lenox became known as the "inland Newport." The cottage houses were quite grand set against the region's Yankee-style architecture. 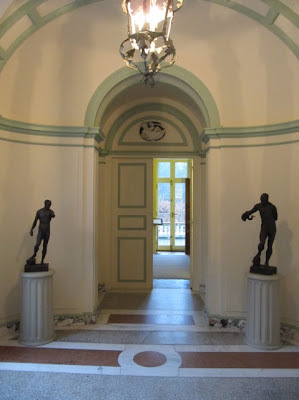 The gallery was inspired by rooms in Italy. 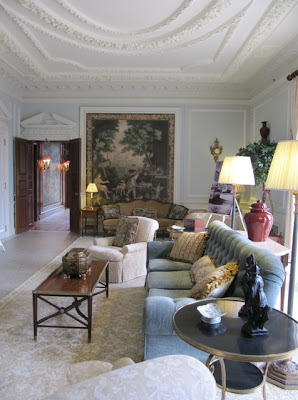 Drawing Room is the largest room in the house [36 ft by 20 ft]. 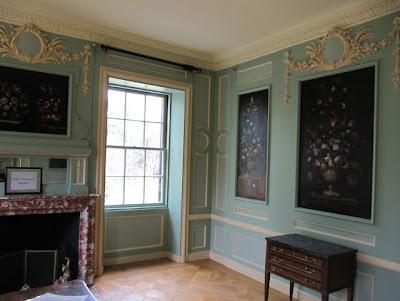 tapestries set into the walls. 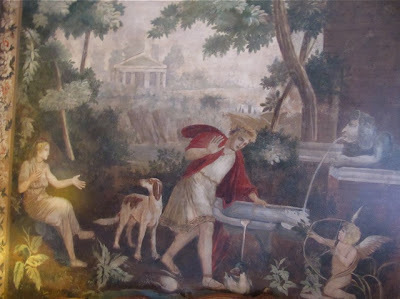 Shown above ~ "Narcissus at the Fountain"
Edith Wharton's appreciation of the French aesthetic. 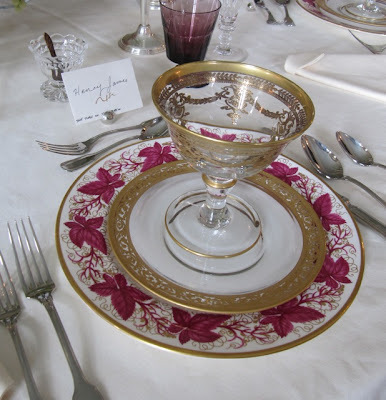 Williams place setting for Edith Wharton's great friend Henry James. 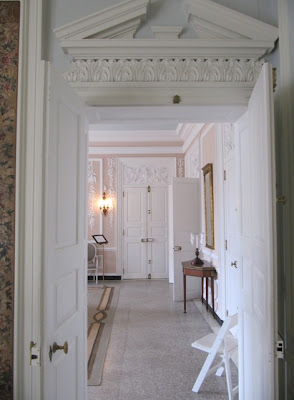 Edith Wharton had the social status of the new period but her own personal nature was more aligned with the earlier cultural era of Lenox. She had distaste for "sumptuous excesses." 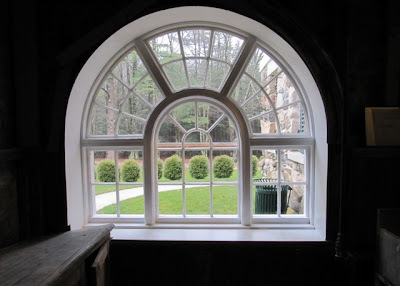 In building The Mount, Wharton was able to share her design philosophies with architect Francis Hoppin, and Ogden Codman Jr., who designed the interior. 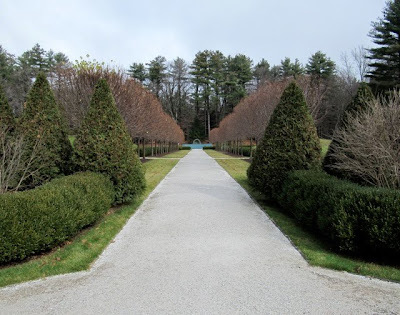 Wharton planned the landscape design of the grounds which during her ownership consisted of 150 acres of woodlands, orchards, meadows, streams, wildflowers and formal gardens. interviewing servants, going over accounts and similar occupations." The Georgian-style Belton House [1684-1696] in Lincolnshire, England was used as the model for The Mount. Belton was made of stone, The Mount of wood. Belton was built on flat ground, The Mount on a hill. 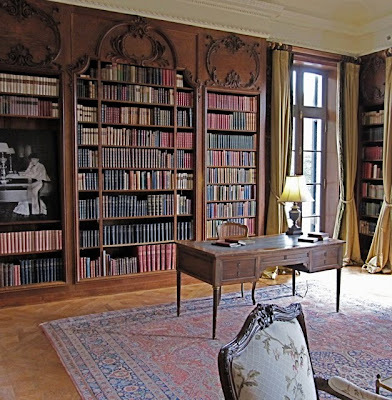 The interior is based on French, English, and Italian sources. 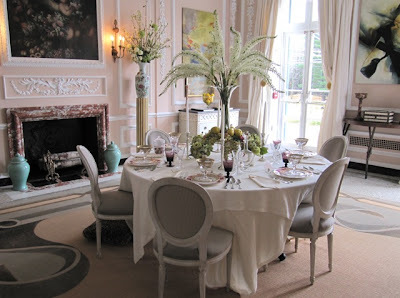 There is a French courtyard, an Italianate terrace, and an Italian garden. 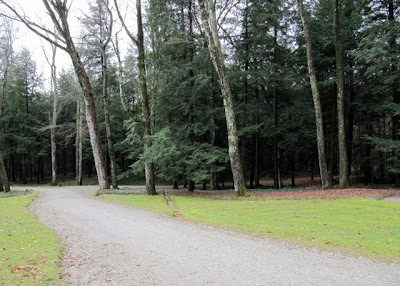 And, the drive is similar to the drives found on European country estates. 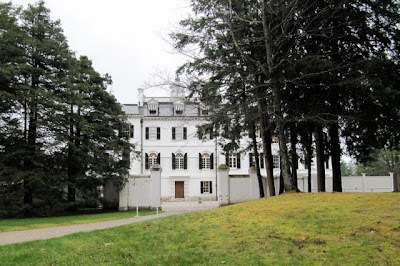 Wharton spent about ten years at The Mount, enjoying country life, entertaining, and writing. She created some of her greatest works during this period, including The House of Mirth and Ethan Frome. The failure of her marriage forced the sale of The Mount in 1911. Wharton moved to France, where she lived until her death in 1937. 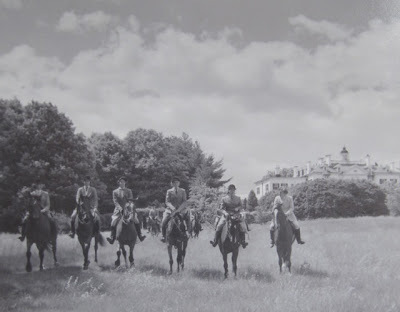 The Mount was owned by two private families, the Shattucks [from 1911-1938] and the Van Andas [from 1938-1942]. 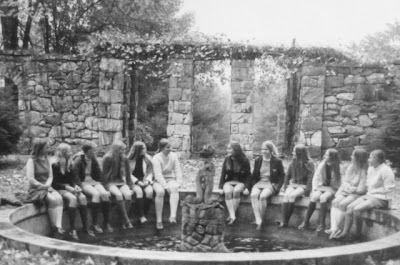 Following that, it became the Foxhollow School for Girls [from 1942-1976], then the Shakespeare & Company [from 1978-2001]. 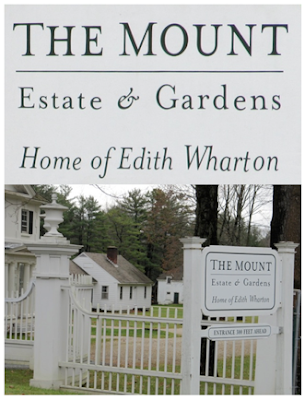 The Edith Wharton Restoration at The Mount was founded in 1980. For more information, visit The Mount website. To buy The Decoration of Houses, please click on the image below. What a fantastically informative and interesting post! The Mount is like a miniature Versailles. You really captured the mood of her combining such gorgeous photos with the perfect quotations. I believe The House of Mirth is my favorite of all her books. First I want to wish you happiness on the first birthday of your blog. I have so enjoyed getting to know you and look forward to starting the new year with you also. I must say that this post is a wonderful way to celebrate many firsts! At Christmas, I always ask for a couple of books from Santa & after reading your post, have decided to spend some quality time at my favorite bookstore with Ms. Wharton. The Mount might be my first! Have a wonderful weekend! Barbara - Your photography is spot on and allow us as readers to look through 'her' lense. What a masterpiece and joy to read and in just a few moments feel inspired, happy almost as if I had walked up the driveway along side you. Rarely do we find such perfection on the internet and with My Dog-Eared Pages a busy mother of 4 working fulltime in NYC can experience joy through words and photography all aethetically pulled together for a quick - smart READ! Joy to the world! 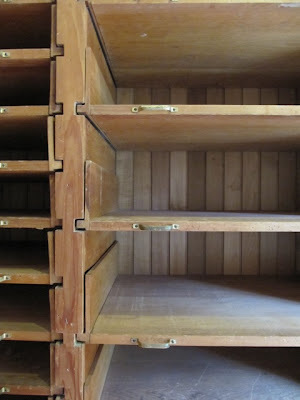 I especially found the colors inspiring, I'm so glad I stumbled upon this blog!